According to EnergyStar.gov, nearly half of your home’s energy usage is for heating and cooling. How can you be both comfortable and energy efficient? Most homes in our area have single-stage systems, which means it only works at one speed. Cranking up the heat will not heat the home any faster. Setting the temperature higher than what you want will make your furnace run longer and is likely to cause you to overshoot your desired temperature. The same idea applies to cooling, but in reverse, of course. Thermostat temperature settings should be changed any time you’re leaving the house for more than a couple of hours. Why heat or cool the place if you’re not there? If you’re leaving for more than a couple of hours, you can save energy by resetting your temperature. Try this – when you’re going to be gone for more than a couple of hours, set your thermostat 10 to 15 degrees lower in the winter and 5 to 8 degrees higher in the summer. Energy Star calculates savings of 5 to 15 percent on your energy bills if you can do this. 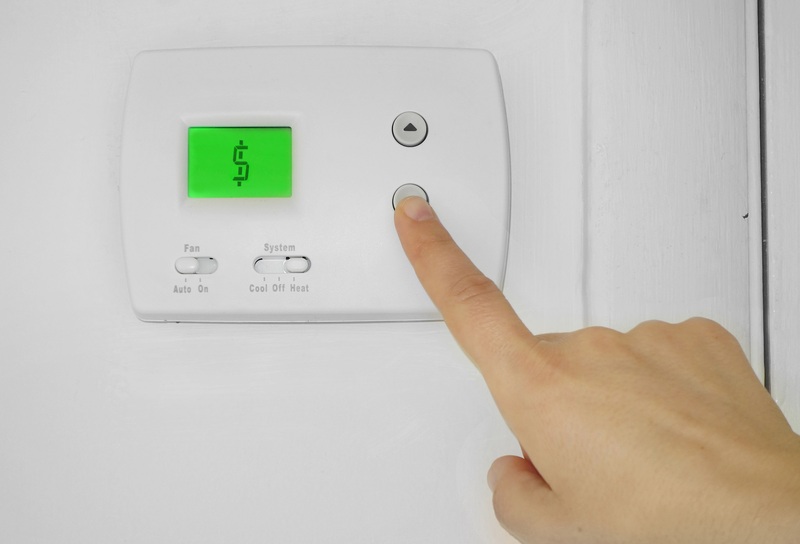 If remembering to change the thermostat every time you leave sounds daunting, try a programmable thermostat, which can be set to accommodate your daily absences and desired sleeping temperatures. Or, if you’re not really sure when you’ll be back, a WiFi thermostat will allow you to set your thermostat using your phone or tablet from pretty much anywhere when you’re ready to head home. This is one of those times when micromanaging can backfire. Programmable thermostats are efficient when they’re allowed to run according to the schedule you gave it. If you decide you’re too warm or too cold and fiddle with the temperature, the system will turn on and shut off more frequently, which makes it run inefficiently. Programmable thermostats come in many abilities and new technologies. Research the one that seems right for you, and talk with your service technician about which thermostats will work well with your system. It may still be snowing now, but spring and summer are right around the corner, which is a peak season for HVAC contractors. Spring is a great time to do a pre-season check on your equipment that put in some overtime this winter. Your service technician will clean your system, and tighten electrical connections, lubricate moving parts if any require it, check system controls, drainage, ensure your gas lines are safely connected and check your thermostat settings for you. If you have a question for Dirk, send an email to dirk@roperhvac.com and we’ll try to answer it in an upcoming column.